ALBANY – Joseph S. Gibson, 84, of Albany, died Saturday, November 21, 2009 at Our Lady of Mercy Life Center in Guilderland. Mr. Gibson was born in Morristown, NJ, and raised in New Jersey, but had lived in Albany nearly thirty years. He served in the U.S. Marines during World War II, and in the U.S. Army during the Korean War, where he was awarded the Purple Heart. He was a leather expert, and co-owner of Gibson-Hutchinson Hide Co. in Newark, NJ, and later was employed as a residential counselor for the NY State Dept. of Mental Health in Albany. Mr. Gibson is survived by his sons Michael J. Ryan (Diane) of Accord, NY, and David Powers Ryan of New York City; his daughter Jennifer O. Ryan of Albany; his brother Frank Gibson of Ohio; his granddaughters Rebecca M. Ryan and Madeline Gibson Ryan; and by several nieces and nephews. Funeral services will be held in the Hans Funeral Home, 1088 Western Ave., Albany, Tuesday morning at 10:00 a.m. Relatives and friends are invited, and may call at the funeral home Tuesday morning from 8-10 a.m. Interment will follow the service in Calvary Cemetery, Glenmont. 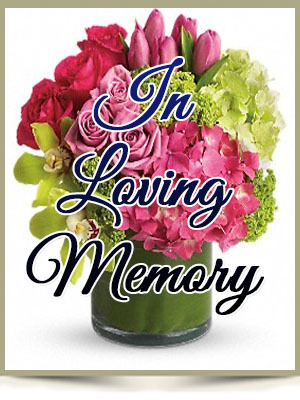 To leave a message of condolence for the family, or obtain directions to the funeral home, please visit www.HansFuneralHome.com.